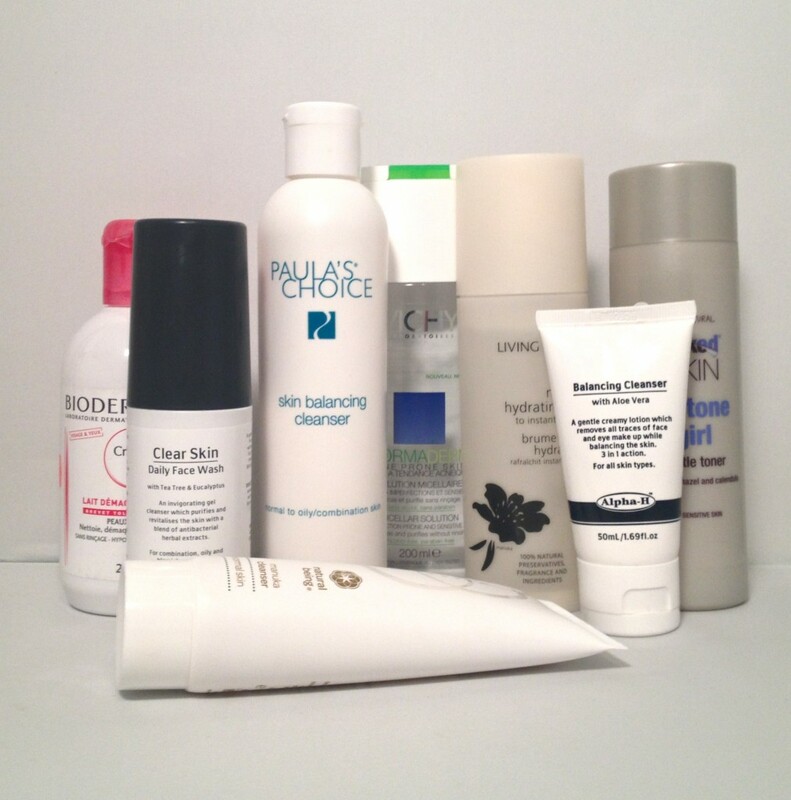 This is the first part in a series of posts and videos on teen skincare. Obviously I’m not a teen anymore, and I’m guessing that quite a few people reading won’t be teens either (though we all our inside our minds, aren’t we?) but I think that much of the time we share the same problems with our skin and have the same questions. Most women are reminded once every month of exactly how their skin was in their teens, because it turns into an awkward mess of breakouts, oiliness and little dry patches. It turns temperamental, and nothing in the world seems to be able to help it. So I suppose that this series of posts and videos isn’t just for teens at all – and I can tell you that many of the products I tested (and my teen helpers tested) are ones that I use on a very regular basis myself. Or do now, anyway! I’ve found some real gems as I’ve trawled through my boxes of product – things that I would never have looked twice at usually. A couple of things stand out; the Alpha-H Clear Skin Wash (wouldn’t be right without a new Alpha-H love, would it?) and also the Living Nature Purifying Cleanser. Now the cleanser, unfortunately, I have managed to leave in a hotel bathroom which is why I forgot to put it in the video and also why there’s a face mist in the photo instead of a cleanser! But it is absolutely superb for freshening up oily, congested skin and it’s not too expensive at all. The main purpose of this video isn’t really to say which cleansers are wrong or “right”, but to stress the importance of good cleansing. Not just a quick once-over with a crappy face wipe: a proper cleanse with warm water and a good, solid face wash. The skin needs to be perfectly clean before bedtime. But not stripped – and that’s the other point that I make; it’s not great to use something that strips and dries out the skin. The skin will just produce oil again anyway, but you might have left the skin vulnerable and aggravated. It’s all about kind, gentle but thorough cleansing. And models: listen up! Face wipes after doing three shows? That won’t do! You need to grab a proper cleanser (see video!) and really work it into the skin to dissolve the makeup. The reason we all get sore skin around the eyes is that we rub endless cotton wool pads over them, trying to remove fifty layers of waterproof eye pencil, but work one of the cleansers in and you’ll find that after a few minutes everything will dissolve and you can rinse most of it away. Just do a clean-up squad with a q-tip after that and you’ll have avoided rubbing and irritating the skin. Hurrah! Let’s get on with the show, shall we? All product info is below the video pane! Previous Post “Real Luxury Organic Bath Oil” – is what it says!